Head coach Mike Sullivan has just announced that star goalie Matt Murray is suffering from yet another upper-body injury. The netminder was missing from Pens' practice this morning and it was later determined that he was sidelined with an injury. However, coach Sullivan did not that it wasn't a concussion. It has been a rough season for Murray, who keeps getting sidelined with different injuries. He also has a concussion history that makes the Penguins and their fanbase quite nervous for the rest of the season and the playoff run. Even if Murray is healthy enough to suit up against the Florida Panthers on Thursday night, the Penguins might choose to give him the night off in favor of Casey DeSmith just to ensure Murray remains fully fit. There have been no additional details on the nature of his injury. 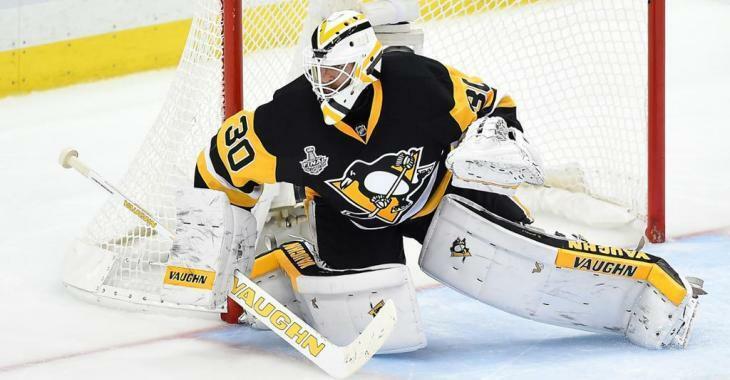 Murray has struggled of late, as he is 2-4-0 with a .896 save percentage in his previous six outings and will need to be better AND feel better if the Penguins are going to make a deep playoff run as they hope to do.